Happy Hot And Sweaty NYFW! Happy hot and sweat NYFW you guys! I'm super excited for all of the fun events I have going on this week. 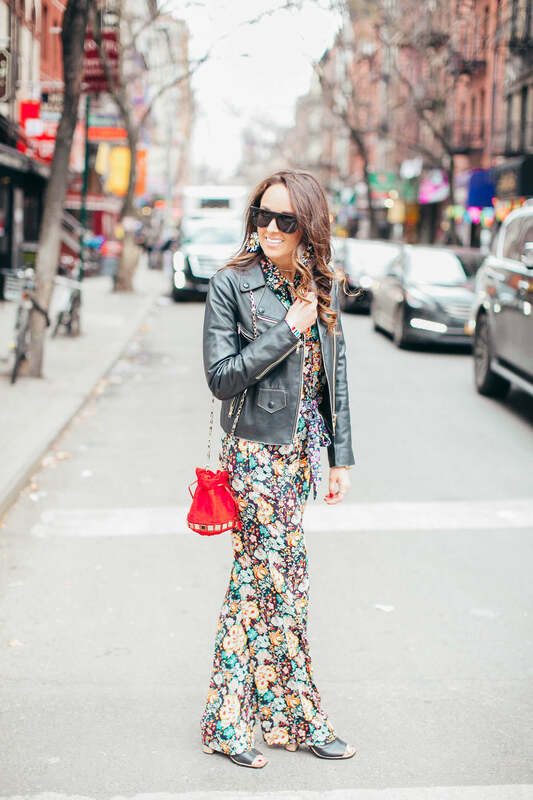 I will be kicking off the week tonight with Shopbop and then the Fashion Media Awards hosted by Fashion Week Daily. Be sure to follow along on instagram for a behind the scenes look at the week! Life Update: Back And Better Than Ever! Guys!! Finally posting this amazing pink dress that I discovered at the Shopbop style high event this spring. I have been living in it this summer - it’s so easy to dress up and down. I have worn it to rehearsal dinners and barbecues, so it has basically been living either on my body or in my carry on. But before I get fully lost in this look, let me explain my brief hiatus from posting here and give you all a little life update. It’s HERE! My favorite week of the year! Fourth of July week has this special quality about it unlike any other time for me. There is just something about it - I can’t quite put it into words. The best analogy that I can think of is the feeling you had as a little kid about the tooth fairy, Santa, the Easter bunny etc. It’s *magic* ! It’s officially summer… so naturally I’m dressed like the Fourth of July. It’s no secret by now that any combination of red, white and blue (especially involving a stripe) is my summer uniform. I never tire of it and don’t ever want to. That said, when I find something in one of those colors and it fits *perfectly* and is comfortable, I know it’s going to be loved and lived in. If you follow me on Instagram you have probably seen by now that I have been living in these Sperry sneakers. They are the most comfortable sneaks that I have maybe ever worn. Which is saying something, since I have previously described sneakers as sleeping bags for your feet! I’m obsessed with this top from Shopbop. I discovered it at their #StyeHigh event this spring and couldn’t stop thinking about it. It’s like a Hawaiian shirt, crisp button down and peplum crop top all blended into one. There is so much going on in this one piece and it works magically. I have been really into over-the-top statement shirts recently. I find that when pulling together the rest of the look I always like them best paired back to denim. Wether it’s a cropped flare, skinny jean or Mom fit - an over-the-top shirt paired back to your most lived in blue jeans really gets me. I have a feeling I’ll be wearing a whole lot of that this summer. There are many things that I love about a matching set. Quite possibly my favorite thing about them is how g-darn easy they make getting dressed. You pick out one thing and – BAM – you’ve got an *outfit*. And since we all know I live for accessories, it leaves plenty of time to jazz the heck out of the look with jewels. That means two wrists filled to the brim with bracelets, oversized raffia earrings and layered necklaces. Because when it comes to kewl jewelry more is more. Frilly skirts have been one of my favorite things to style this season. I love how they can take an otherwise plain outfit to sunshine ready and downright *springy*. So I figured I'd share my top ten fave frilly skirts of the moment in today's post. Check it out! Sometimes, for me, clothes and accessories have this way of making me feel nostalgic for or crave certain places or moments in time. And while wearing my Sperry boat shoes I constantly find my mind wandering to long summer days on the water and holiday weekends spent on Nantucket. So naturally, these shoes are pretty darn *happy*. 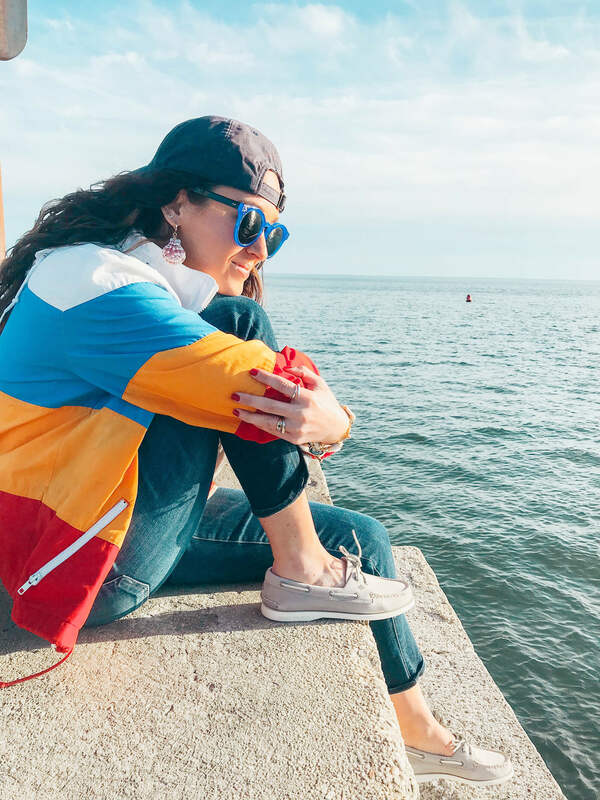 If you are looking for the most comfortable shoes that are sure to be lived in all summer long then these are the ones for you! 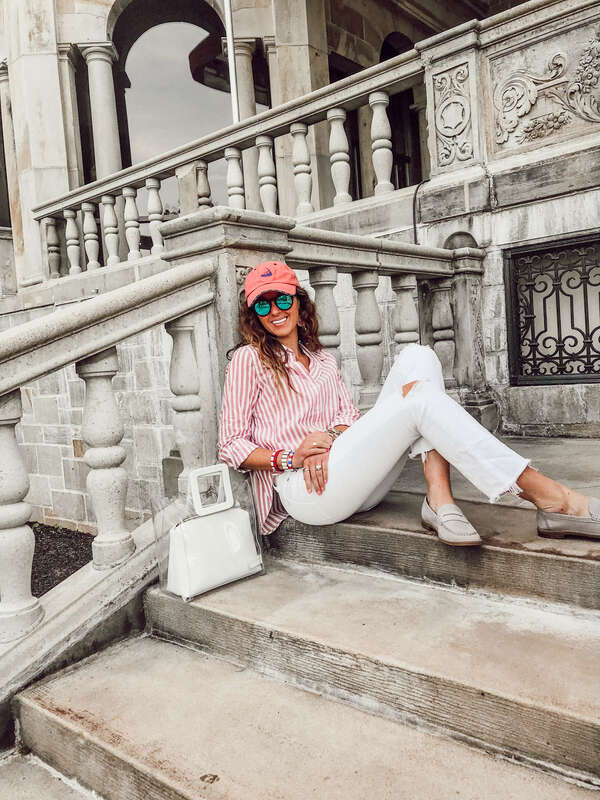 I am so excited to share this post today for two reasons - it is the first in my new Spotlight Series - on NYC Blogger Katie Sands of HonestlyKate. AND I've teamed up with Katie to do a Brinker & Lou giveaway! Head on over to instagram to get all of the details on the giveaway and read on to read the full interview! Be the first to know. Sign up our newsletter. All rights reserved. © 2019 Eliza Higgins.